There are some utterly delicious moments in the human experience that can’t quite be accounted for in words alone: bare feet sinking into gloriously soft shagpile carpet, the smell of bacon frying on a Sunday morning, and the sound of your favourite band or artist releasing the album they were born to make. It’s the latter of these moments which perfectly describes the fourth studio album from Busted. Now a year longer than their original run into their career since their 2015 reunion with the ‘Pigs Can Fly’ tour, ‘Half Way There’ is their fourth studio album (so titled as it’s exactly half way to the ‘seventh album’ referred to in their hit single ‘Year 3000’), and one to be especially proud of. Not least for a band whom everyone assumed had too wide a chasm creatively and professionally between themselves to warrant reuniting in the first place. 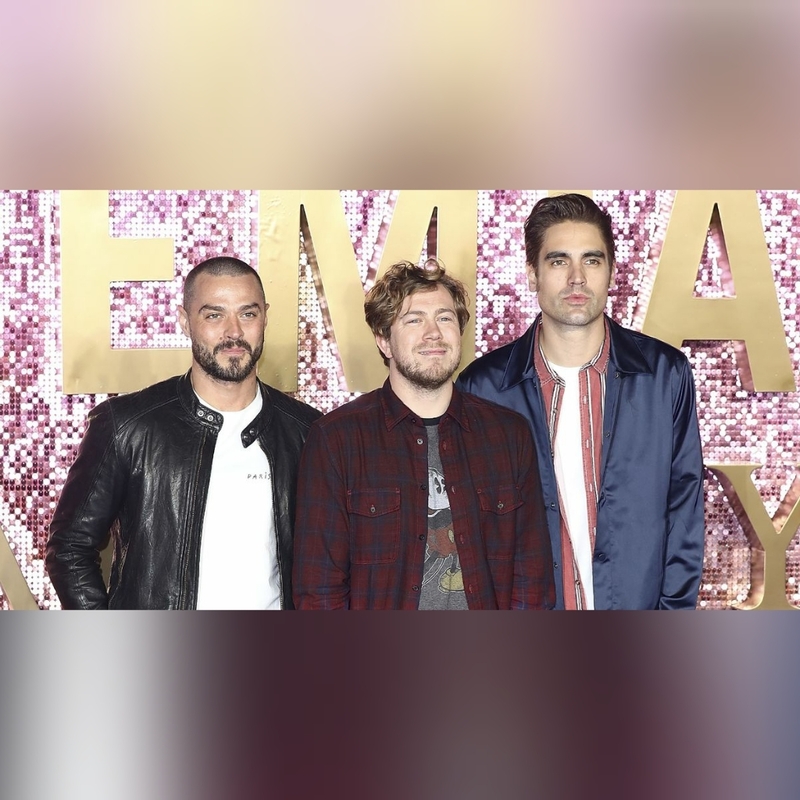 As we touched on in our review of this album’s first single ‘Nineties’ back in November, Busted have never been most pop bands, even by their own admission. Back in 2003, they went a whole album campaign as the only ones in the UK charts playing guitars and writing their own songs, and dressing like cool skate dudes from Venice Beach. They refused to be moulded and marketed as it were. It was the subsequent popularity of this rebellious nature they displayed however, that ultimately proved part of the catalyst for their 2005 split. For when that started becoming the norm, and they became dictated more by major label interference, it sent Charlie Simpson off in the direction of more serious musical pursuits with Fightstar, leaving James Bourne (with Son of Dork) and Matt Willis in the lurch slightly as they headed off to solo ventures that incorporated, in parts, a lot of what fans anticipated a third Busted album might have sounded like, but that were met with underwhelming returns. If 2016’s ‘Night Driver’, all pink neon effect artwork and positively groovy 80s vibes on it’s tracks like ‘On What You’re On’ was a conscious effort to create a record that, whilst brilliant, still had an inescapable air of ‘Busted trying to find their place in pop music today’ on it, then ‘Half Way There’, produced by the legendary Gil Norton, is the polar opposite of that. Much like All Saints‘ most recent album ‘Testament’, it’s a band fully at home singing and playing on the sound everyone loves them for, and in a round about way, actually makes for a refreshingly honest and very modern pop album. They know their eggs so well when it comes to delivering great pop hooks and lyrics that are witty, barmy, and which occasionally touch a chord. Hence why it’s fitting that ‘What Happened To Your Band’, a song that James first wrote about the split over ten years ago – first for Son of Dork, then for his and Matt’s brief merge with McFly for the supergroup project McBusted in 2014 – has now found what you imagine was it’s spiritual home all along. In that song’s chorus lyric ‘Where d’ya go, I’d be lost without you / It’s crazy, time moves slow / I ain’t seen you on the TV lately’, they all deliver the vocal with feeling and there’s a sense that in this version of the song, they’ve communicated the problems that ended their juggernaut of success so abruptly and got closure on that time to move forward to this new chapter. The perky pop rock backing of songs like current single ‘Radio’, ‘Nostalgia’ and album closer ‘It Happens’, that recall Wheatus and Blink 182 in their imperial phase, is offset by the wistful nature of their lyrics, reflecting on the passing of time, the fleeting nature of intense success and fame in a pre-social media age, and how, no matter how badly it’s caused jeopardy and internal frustrations along the way, their audience has resolutely remained with them. It’s particularly poignant on ‘It Happens’, when Charlie delivers the following self referencing verse: ‘After 11 years of space we start to gravitate / Back to each other, you can call it karma, call it fate / Rocked up to Glastonbury, there were just so many people there / Flashback to when the guy from NME said nobody would care / And now we’re back out on the road, the album’s almost good to go’. Some people say that to view the past is to never look forward. But sometimes, where pop is concerned, you have to address the past and embrace it and own what it gave you in order to make progress. And that’s exactly what the lads have done with this exceptional, exhilarating and at times moving album. 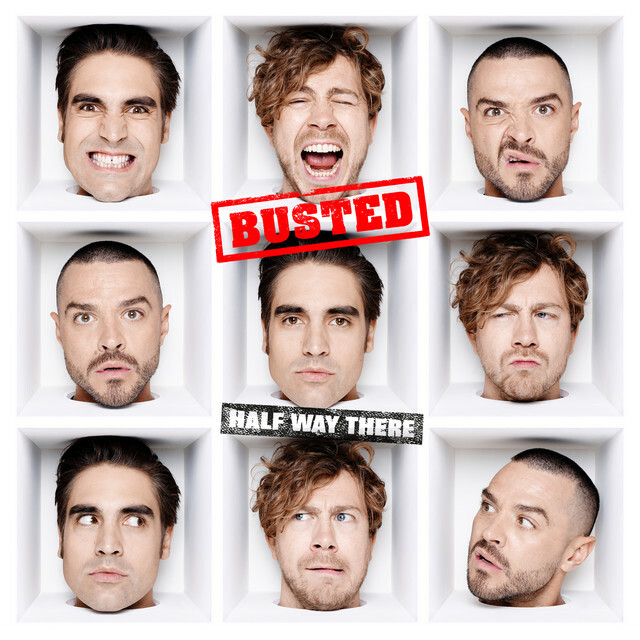 If you’ve ever been a Busted fan, or still are, this is the record you’ve dreamed of and better.